The Alfa Romeo brand was founded in 1910 in Milan, Italy and it has continued to engineer and craft the most gorgeous and exclusive vehicles in history. Each vehicle produced by Alfa Romeo has been designed with the brand's racing heritage in mind. The new 2018 Alfa Romeo 4C model is comprised of two models, the 4C Coupe and the 4C Spider. This review will focus on the unbelievably beautiful, sophisticated, and above all powerful new 2018 Alfa Romeo 4C Coupe. Learn more about this stunning new vehicle below! Can you give me more details on the powertrain of the 2018 Alfa Romeo 4C Coupe? The 2018 Alfa Romeo 4C Coupe is the perfect vehicle for driving enthusiasts! The brand's iconic racing history has inspired the vehicle, imbuing the vehicle with a sporty and engaging energy. Alfa Romeo powers their 4C Coupe with an all-aluminum 1750cc turbocharged engine that produces 237 horsepower and 258 lb-ft of torque. The engine has been constructed with variable-valve timing, dual intercoolers, and direct-injection technologies, which lead the supercar performance. Paired to the engine is a remarkably fast six-speed Alfa twin-clutch transmission (TCT). 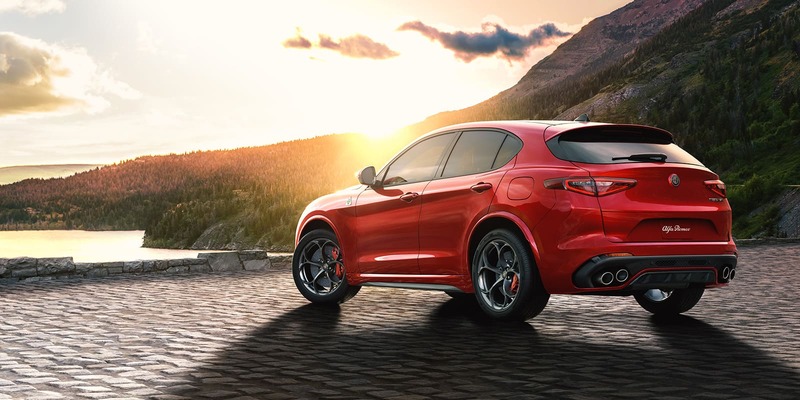 The vehicle utilizes an advanced Akrapovic dual-mode exhaust system, which is paired to the Alfa DNA Pro drive mode selector. 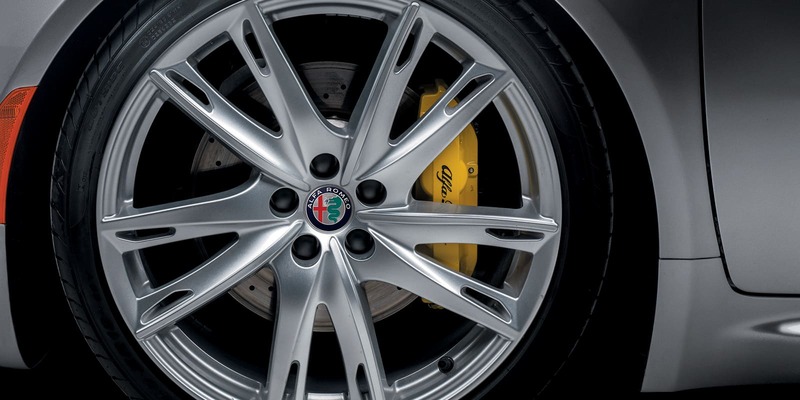 There are four drive modes that quickly alter the Alfa Romeo's performance for specific environments. The driving modes are: Natural, All-Weather, Dynamic, and Race with Launch Control. What are some of the supercar-inspired features? The 4C Coupe has been equipped with the latest technologies that encourage the fastest drive possible, including an ultralight carbon fiber monocoque and aluminum chassis which has been inspired by Formula 1 technologies. This state-of-the-art construction makes for a total vehicle weight of under 2,500 pounds, and encourages a 12.4 power-to-weight ratio. 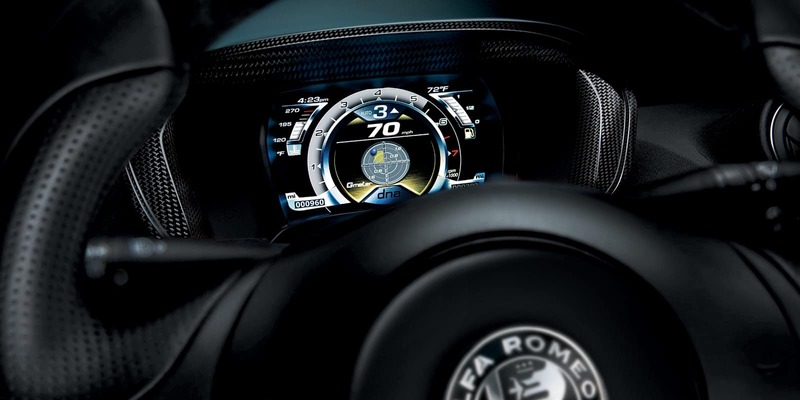 The Alfa Romeo 4C Coupe has a top speed of 160 mph and it can go from 0 - 60 mph in just 4.1 seconds! 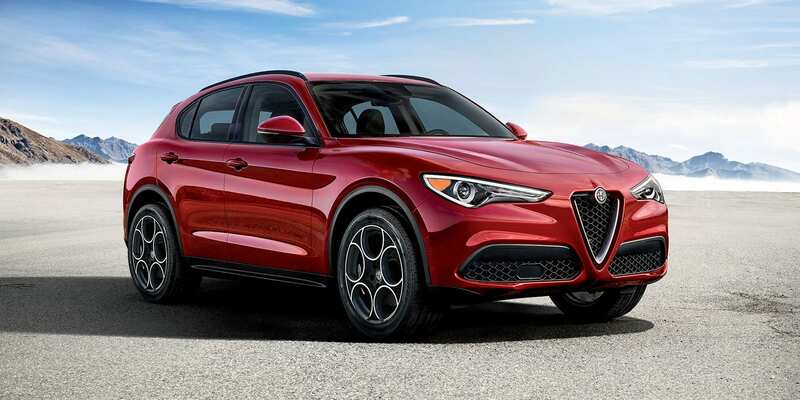 The incredible vehicle has Pirelli P Zero AR Racing Three-Season Tires, and Alfa Romeo offers a Coupe Track Package that equips the vehicle with a Race-Tuned Suspension for the ultimate performance. Are there many color options or new features for 2018? Alfa Romeo offers a variety of gorgeous color combinations both inside and out, and a few great new features. This vehicle has seductive Italian design characteristics, having been handcrafted in Modena Italy. 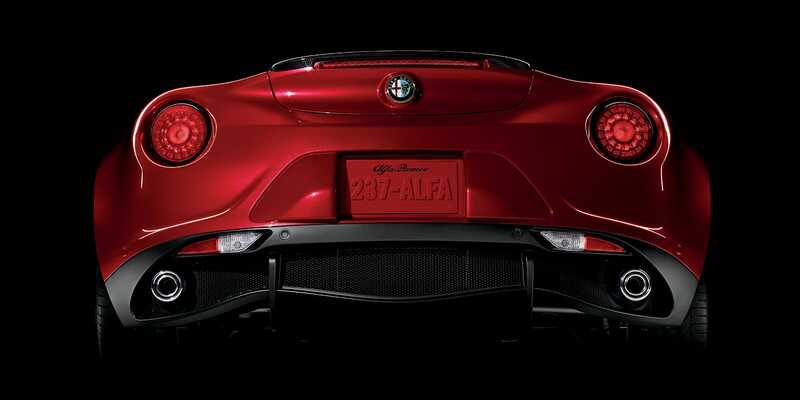 For 2018, Alfa Romeo is offering the 4C Coupe with available carbon fiber vents with the front fascia. Additionally, the 4C Coupe is now available in Basalt Gray, White, and Black paint colors, along with the previously available Giallo Prototipo (Yellow), Madreperla White Tri-Coat, Alfa Rosso, and Rosso Competizione Tri-Coat. The interior has also received a new combination of black leather seating with yellow accent stitching. Black leather is alternatively available with red accent stitching, along with a range of unique and eye-catching material and color combinations. If you are searching for a vehicle that is supremely luxurious and race-track ready, the 2018 Alfa Romeo 4C Coupe is an incomparable choice. Contact us today at Alfa Romeo of Larchmont to schedule a test drive in the new 2018 Alfa Romeo 4C Coupe!